Featuring photography by Brian Kelly and essays by Rick DeVos, founder and chairman of ArtPrize, Adam Lerner, director and chief animator at the Museum of Contemporary Art Denver, and Dustin Dwyer, reporter with Michigan Radio, the book tells the unique story of the ArtPrize event, capturing the energy and enthusiasm that inhabits each year of the competition. Edited by Ben Mitchell, the book’s essays capture the enduring questions that lie at the heart of ArtPrize. Questions such as: How should art be judged, and who should judge it? Who gets to be an artist? What happens to a city and its people when art invades? Dwyer’s essay tracks the history and local reaction to ArtPrize through the years while Adam Lerner presents ArtPrize within the global historical context of contemporary art and culture. "ArtPrize revives the longstanding American search for democratic art institutions,” said Lerner. “It is the latest expression of a centuries old debate about how art can and should reach audiences." To bring ArtPrize to life in print, the book relies on the photography of Brian Kelly, who has documented every event since its launch. 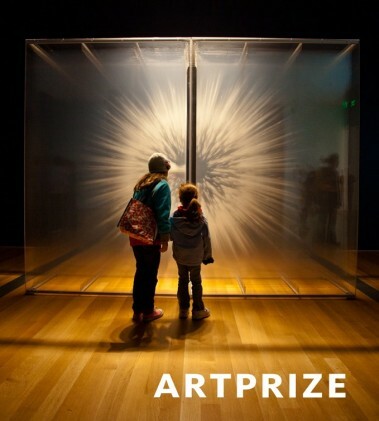 The ArtPrize book is available for purchase for $35 at select retailers and at store.artprize.org starting May 1. It will be featured and available for exclusive pre-sale during the ArtPrize Premiere Event on Wednesday, April 23.